Where: Chinmayi Retreat Center, located in Newton, Rugby Warwickshire. This weekend is aimed as a 48hour opportunity to focus on your physical asana (posture) practice, in preparation for the coming autumn/winter months. We together will emphases on strength and flexibility, as well as most definitely play and a lot of fun!! The venue is beautiful space, located in central England, with a dedication as typified in its name Chimayi – bestower of bliss, to bring you out of your busy lives to just “check in”! limited to 10 students only. does not include transport to the nearest train station Rugby. Cost: £25 or £20 concessions online price or £28 / £23 on the day. An AcroYoga workshop to bring light and flight to your summer! Cost: € 32 a session, €28 if pre-registered. € 80 for the all weekend (3 sessions) with pre-registration. 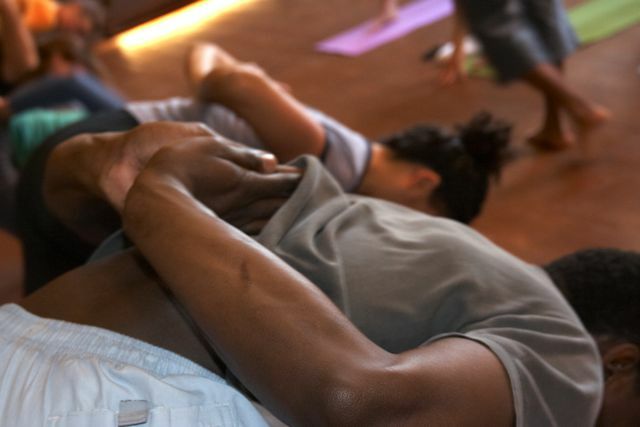 Saturday 2.30pm – 5.30pm: Foundation – strength, focus, technique Expect to play upside down with simple inversions that will turn your world around bringing out your inner child. The morning will cover the foundations of static acrobatic balancing to develop greater levels of conﬁdence in an environment of safety. We will also focus on the qualities of spotting a crucial skill that will compliment what we have in store for you for the rest of the weekend. 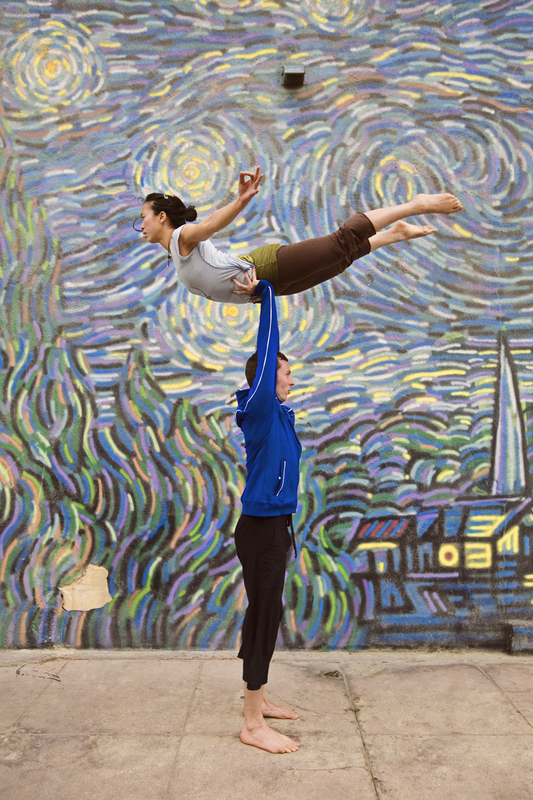 Delving deeper into the principles of acrobatics, we will focus on alignment and strength as the building blocks to embodying inversions and acrobatic balancing. We will create a safe container based on the spotting skills acquire and using these foundations and a smattering of games and group exercises we will progress from the basics to more complex partner acrobatics; cultivating trust and clear communication, whilst homing in on the roles of basing and ﬂying. explore how you deal with them, tap into your inner strength, discover the potential of group support and learn the intrinsic value that safety is everyone’s priority. 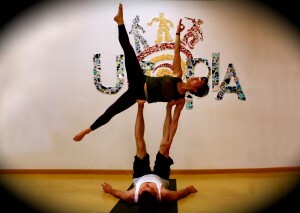 For intermediate and advanced acroyoga practitioners only.